It's not unusual anymore when the progress of a technology raises many unique innovations and strange that you never even thought before. One is the work of a group of students from San Jose State University that make wheel technology with a rounded shape, replacing the conventional wheel. 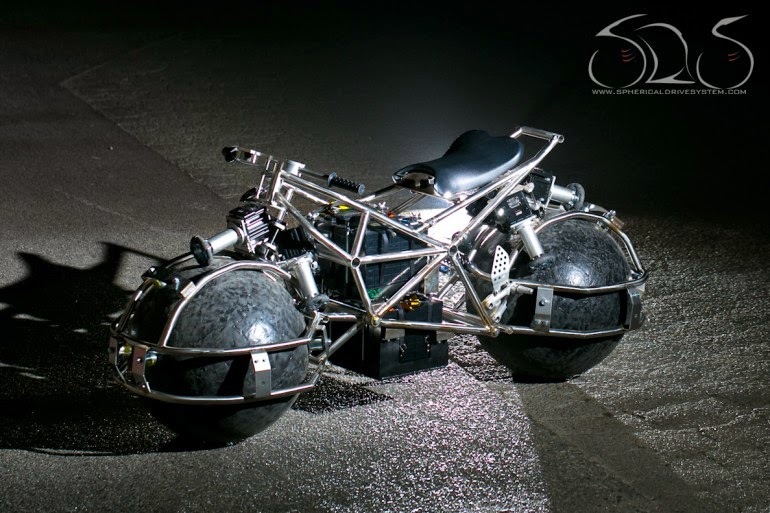 The project they call the Spherical Drive electric motorcycle. 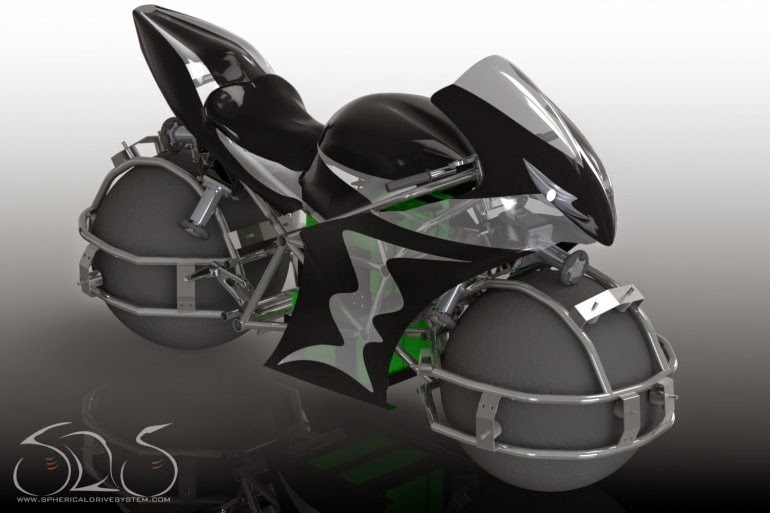 Its spherical wheel is composed of carbon fiber and fiberglass wrapped with rubber coating industry. 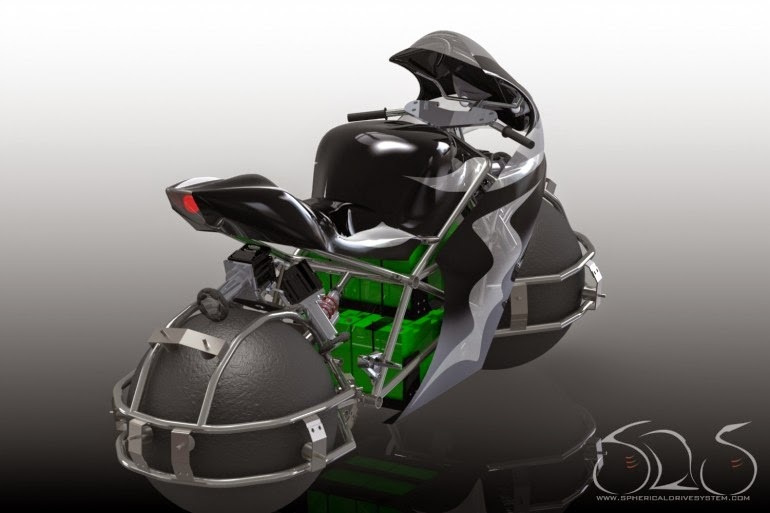 As a driver, this motorcycle utilize the frictional forces generated by three electric motors are available to him. 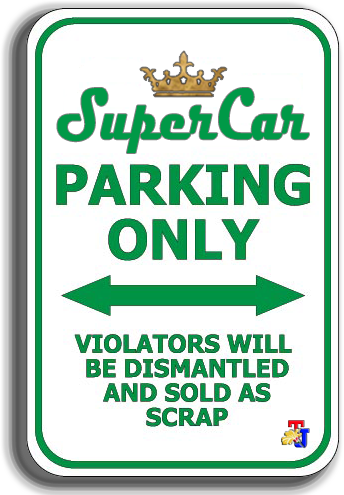 However, not without obstacles, this spherical wheel technology is recognized by its creator is still problematic in the stability and balancing. 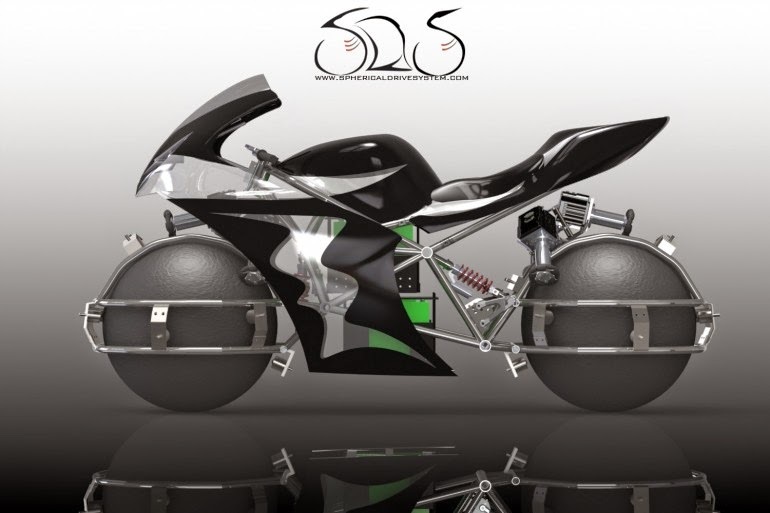 Therefore, now the students are still developing gyro-accelerometer technology has a computerized ability to balance and move this concept motorcycle.